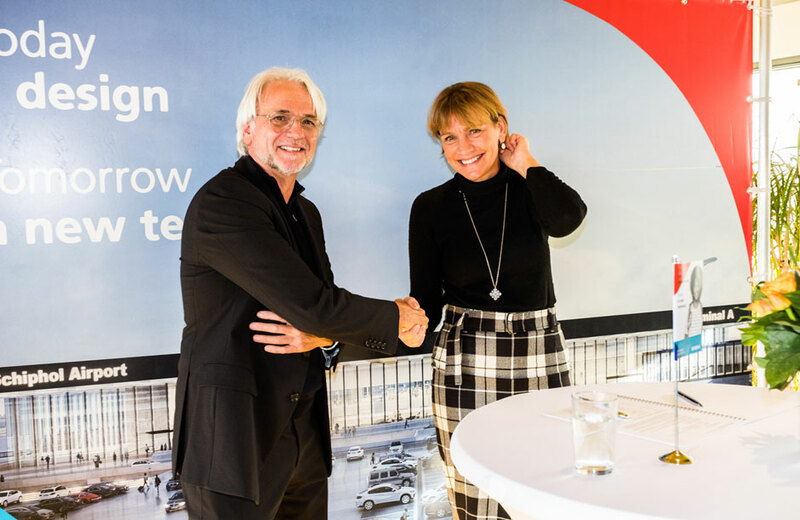 In mid-November, Royal Schiphol Group signed the agreement with the architect that is to be responsible for delivering the new terminal. A momentous occasion. The new terminal will now be officially constructed by KL AIR, a partnership consisting of KAAN Architecten, ABT, Estudio Lamela and Ineco. The new terminal at Schiphol will feature clean lines and openness and will be able to accommodate millions of additional passengers each year as of 2023. KAAN Architecten won the commission and in the years to come will be working with ABT, Estudio Lamela and Ineco. The agreement with the deserved winners was signed by Birgit Otto on Schiphol’s behalf.